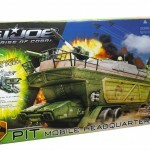 The PIT MOBILE HEADQUARTERS contains the G.I. JOE team’s top-secret base. 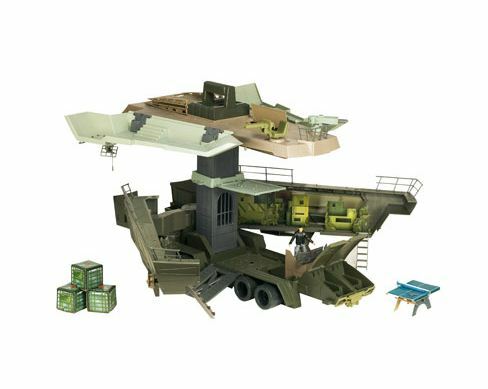 Hidden deep beneath the desert, this multi-level command center is always ready to blast into action. The G.I. 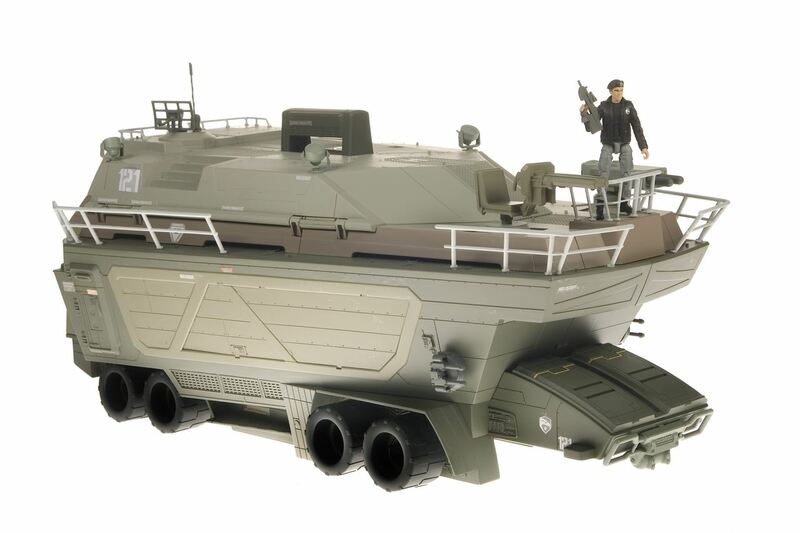 JOE team can bring the fight to COBRA in this rolling battle fortress. Get ready to do battle when you join the G.I. 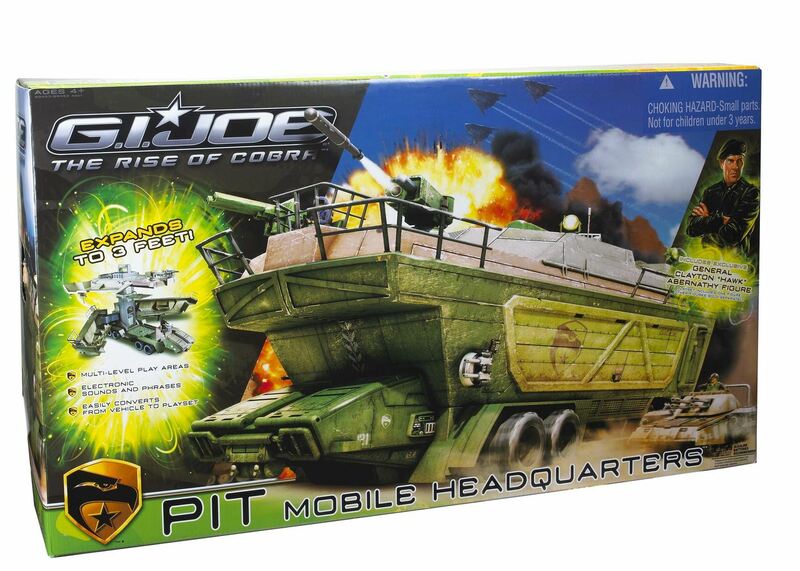 JOE team to battle COBRA forces with the PIT MOBILE HEADQUARTERS playset! 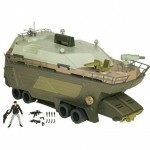 Electronic "power up" sounds and battle alert phrases put you right in the middle of the action! 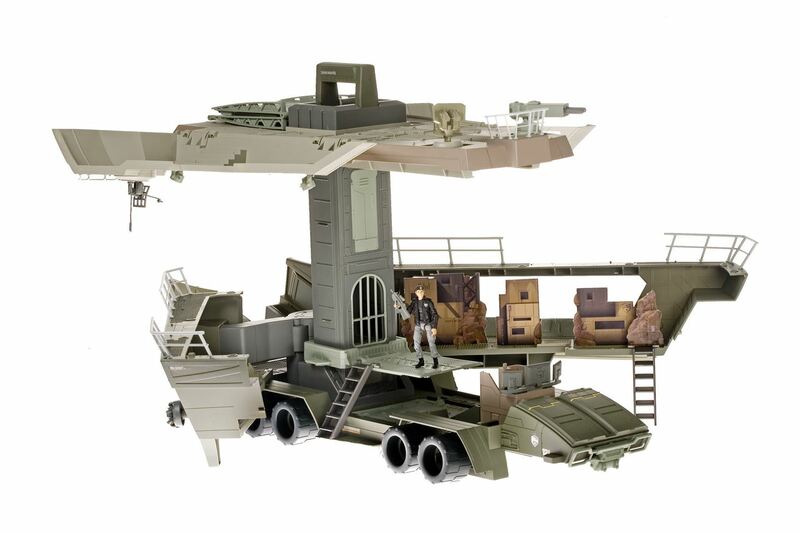 The smash-through wall lets you stage enemy attacks while the moving elevator and secret trap door help the good guys stay one step ahead of COBRA forces. 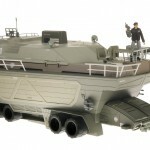 A working missile launcher and interchangeable cannons give you plenty of ammo and with footpegs that hold up to 84 figures (sold separately), you can build your own unstoppable G.I. JOE team! 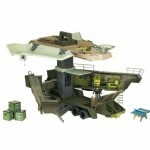 Easily convert the playset to vehicle mode and flatten the COBRA competition! 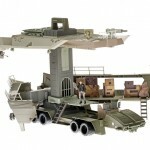 SUMMARY- Ready-for-action playset features multi-level playing areas, electronic sounds and phrases, and easily converts from playset to vehicle! 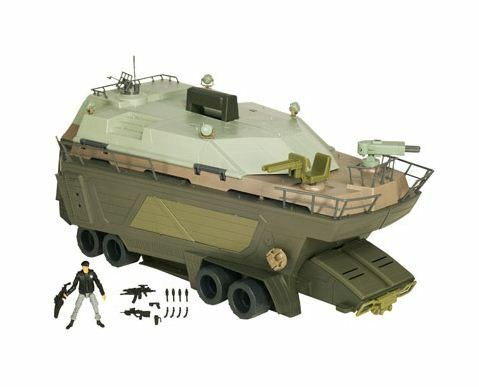 Includes exclusive GENERAL CLAYTON "HAWK" ABERNATHY"* figure!- Expands to 3 feet wide!